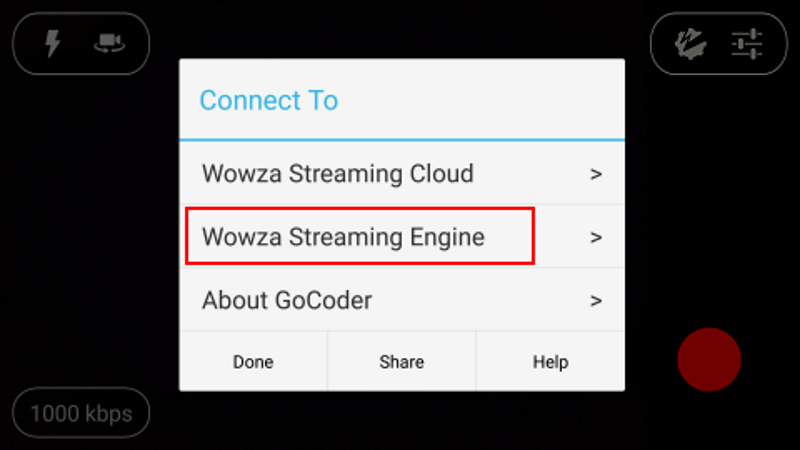 After installing application, you should configure it for streaming through Boomstream platform. Settings are the same for different devices. 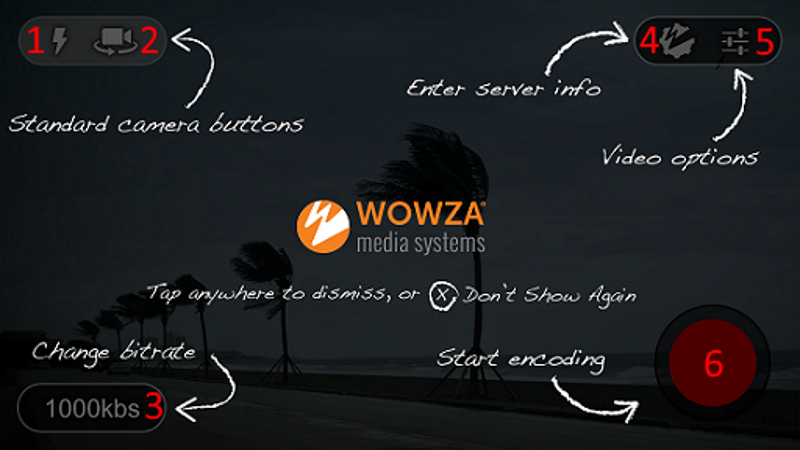 2)	To specify the Wowza media server information, tap 4 button. 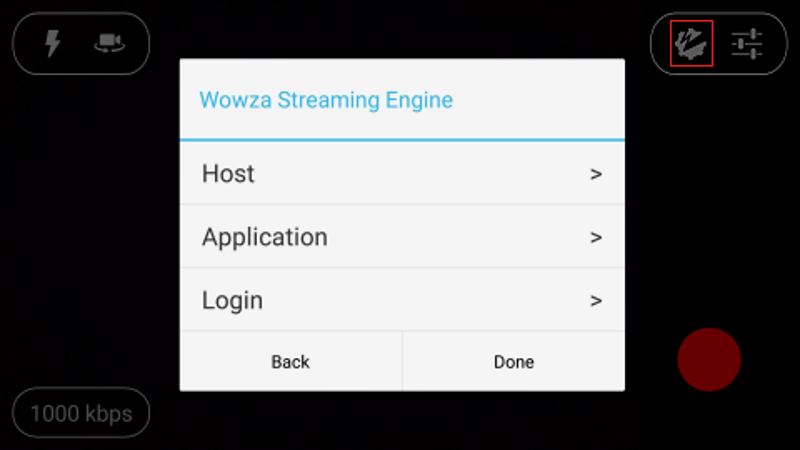 On the Connect To page tap Wowza Streaming Engine. 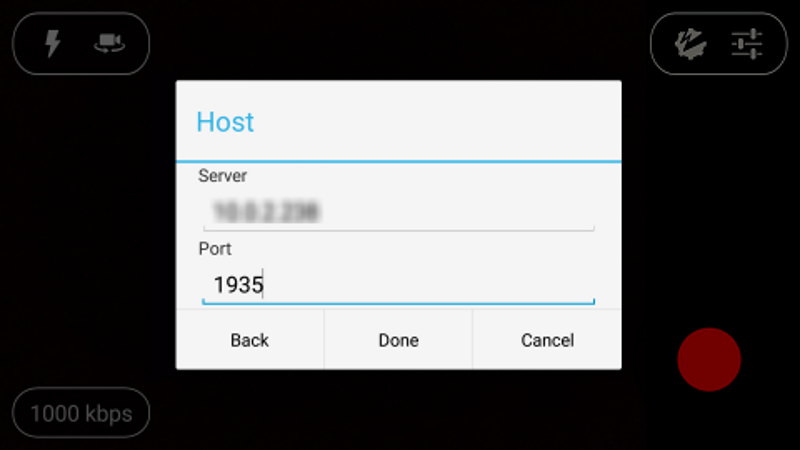 3)	The Engine page lets you provide information about the Host, Application, and Source Authentication. 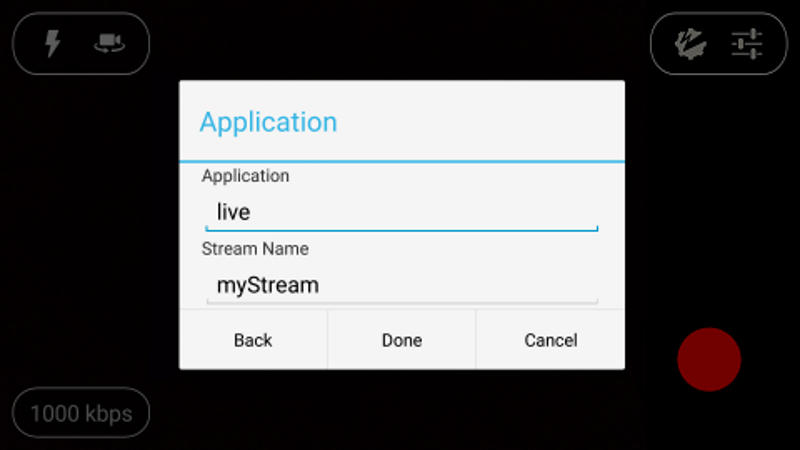 5)	Tap Application, enter Application and Stream Name information, and then tap Back. Stream name – you should enter unique Stream Code, which is shown in your Boomstream account in live section. 6)	In Login section nothing changes. Configuring media server has been ended. Framerate – number of frames per second. Recommended option 30. Keyframe interval – number of frames between keyframes. Recommended option 30 (correlates with framerate). Allow Rotate Video – enable Allow Rotated Video if you want the video output to match the orientation of the camera. If you want to keep the video output upright and be able to switch from portrait to landscape mode, keep Allow Rotated Video off. Video Size – select Video Size. 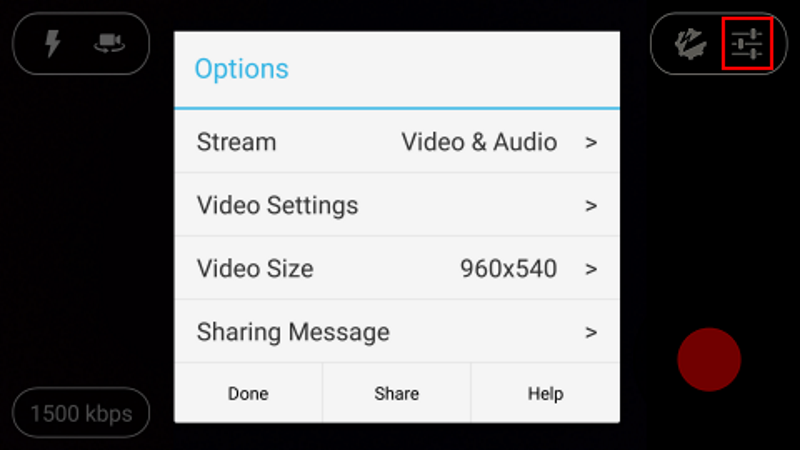 The available Video Size values will vary depending on device capabilities. Sharing Message – if you want to share your broadcast link to a social media account, сonfigure a default Message and webpage URL to use in a post after you have started your broadcast.